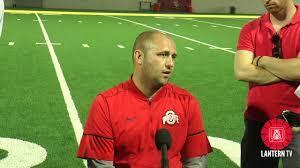 The attorney for the former wife of fired Ohio State assistant football coach Zach Smith says the school never contacted her to discuss the allegations of domestic abuse against him. The attorney for Courtney Smith also says in a statement she has not been paid for interviews, and that she "has made concerted efforts to press charges of domestic abuse against her ex-husband." The statment says Smith will fully cooperate with the university’s investigation. 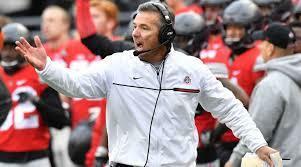 Head coach Urban Meyer was placed on paid leave as the university investigates what he knew and did about the allegations. 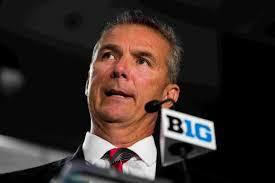 More than 150 people stood outside Ohio Stadium last night in support of OSU football coach Urban Meyer. 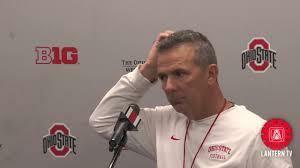 Ohio State University says an outside firm has been hired to conduct the investigation into football coach Urban Meyer's handling of a domestic abuse complaint against a former assistant. Ohio State University head football coach Urban Meyer insisted Friday he followed proper protocols in reporting domestic violence allegations against an assistant coach in 2015, passionately defending himself in his first extensive comments since he was put on paid leave amid a university investigation. 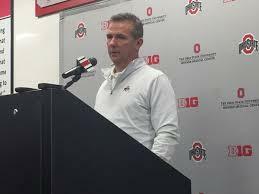 Ohio State University trustees have appointed a committee to investigate head football coach Urban Meyer's handling of fired assistant coach Zach Smith's domestic abuse allegations.